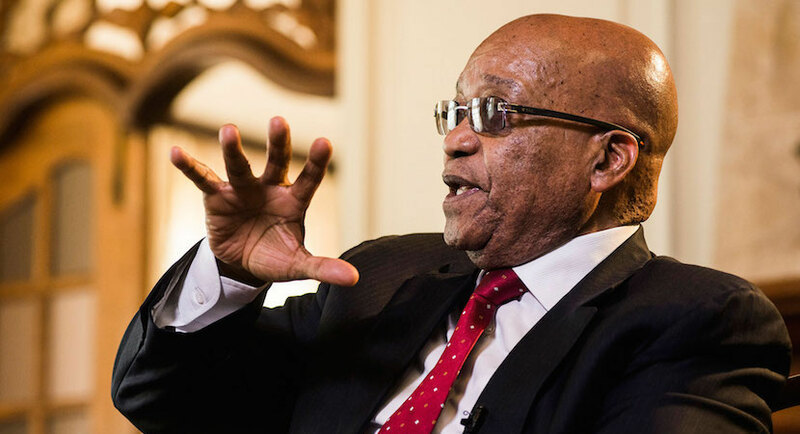 Former President Jacob Zuma has been fingered for alleged wrongdoing by witness testimony at the State Capture Commission more than any other party — including his friends, the Dubai-based Guptas. The commission’s rapidly growing record confirms that Zuma has thus far garnered the highest number of individual 3.3 notices — this is an official document served on those implicated by witness testimony. An audit of proceedings between August and November 2018 shows that the country’s former number one is currently culprit number one, having been implicated by seven of the 15 non-institutional witnesses who have testified so far. Those include current and former public enterprises ministers, Pravin Gordhan and Barbara Hogan, former finance minister Nhlanhla Nene and former mining minister, Ngoako Ramatlhodi. Dense testimony by Gordhan that Zuma, among other things, had lied about his reasons for removing Nene as finance minister when he claimed Nene was heading to the Brics Bank for a non-existent position. Zuma has also been implicated by Ramatlhodi’s former adviser, advocate Samuel Muofhe, who said he had allegedly offered him the job of the country’s National Director of Public Prosecutions while former Cabinet spokesman Themba Maseko said Zuma allegedly called to lean on him to help the Guptas in what was then the beginning stages of their quest to build a media empire. Zuma’s attorney, Daniel Mantsha, who is also the recipient of a 3.3 notice as an implicated party — did not respond to questions about why the former president has thus far opted to disregard the highly damaging allegations or failed to counter them by providing the commission with an alternative version. Implicated persons are permitted to apply for cross-examination provided they themselves take the stand. In terms of the commission’s rules, an implicated party or entity must be provided with a copy of an incriminating witness statement in advance and then notify it of their intention to challenge such evidence. With the exception of an objection to the timing of a notice in respect of Hogan’s testimony, Zuma’s legal team has not raised any legal challenges. The former president previously referred to claims of State Capture as “political propaganda,” saying only individuals may be captured. In addition to Zuma, the commission, that is investigating allegations of fraud and corruption in the public sector, has also slapped eight former Cabinet ministers with notices that they are implicated. The commission confirmed that notices were issued to Malusi Gigaba, who served variously as minister of public enterprises, finance and home affairs until his resignation in 2018, former energy minister Tina Joemat-Pettersson, former police minister Nathi Nhleko, former mining minister Mosebenzi Zwane, former communications minister Faith Muthambi, Des van Rooyen, previously local government minister and the man who briefly replaced Nene after his sacking in 2015, and David Mahlobo, the former state security minister. Retired General Siphiwe Nyanda, who scored a mention in the testimony of Barbara Hogan, is among this group although it is understood that Nyanda is scheduled to also testify as a witness at the commission, which resumed today. Notices have also been issued to four sitting ministers: Bathabile Dlamini and Jeff Radebe (ministers in the presidency), former international relations minister (currently land affairs), Maite Nkoana-Mashabane and Mildred Oliphant (Labour). Granted, it is still early days in the commission’s two-and-a-half-year mandate, but it is likely that Zuma and more of his ministers may be unfavourably named by more witnesses down the line. The commission has heard just 34 days of evidence and testimony has concentrated largely on the alleged irregular hiring and firing of members of the Executive during Zuma’s tumultuous two-term presidency and claims of political meddling in the decision of the country’s major banks to shut Gupta accounts. Several deals at state-owned companies — Eskom, Transnet and Denel — running into billions of rands, are yet to come under scrutiny, that along with questionable appointments to the boards of those entities. Former Eskom chairman Ben Ngubane, former Eskom CEO Brian Molefe and former Transnet CEO Siyabonga Gama are among the first group of parastatal bosses who have been implicated and served with notices to that effect. Gupta patriarch Ajay and Zuma’s son Duduzane have each been issued with three notices. Duduzane Zuma has successfully applied to cross-examine former deputy finance minister Mcebisi Jonas, who had put him in the presence of the Guptas when they allegedly offered Jonas a R600m bribe in exchange for a Cabinet post that allegedly required him to get rid of some of the most senior officials at this key institution.